The fact that the Biennale d’Archittetura di Venezia is a mere vanity fair, some sort of must for any architect who is proud of their intellectual ambitions and wants to share and display them around an aura of sophisticated snobbism, is not the issue. The Biennale could well be an event that, once finished, would sink into total oblivion because of its irrelevance. 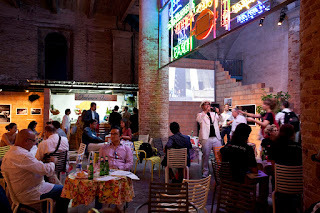 In such a case, and either praised or criticized, the absurdity of the Biennale would then be something harmless. However, when the President of the Biennale di Venezia is introducing the junk shop of vacuity, imposture and banality this edition is saying that its motivation is “to help architects emerge from the crisis of identity they are going through”, and then grounds this intention on the idea that their prevailing calamitous image as “celebrity pastry chefs who are being asked to create stunning wedding cakes” is a consequence of their sacrificially bowing to the foolish whims of a society that has asked/forced them to design “astonishing objects that would be akin to a scream in the midst of mediocrity”, we are then facing the proof that absurdity can turn into a despicable manipulative hypocrisy. And that is exactly the issue. David Chipperfield pompously gives the title of ‘Common Ground’ to a hodgepodge of ‘anything-goes’, while insisting on a call to “react against the prevalent professional and cultural tendencies of our time that place such emphasis on individual and isolated actions.” A statement that sounds somehow hilarious, not just because of the pretence to believe in the utter innocence of the architect, but also because Chipperfield claims it is time to leave the star-system behind while exhibiting the work of Norman Foster, Zaha Hadid, Rem Koolhaas, Jean Nouvel, Herzog & de Meuron… In addition to the fact that such paradoxical selection persists in highlighting, instead of silencing, those names which now very little (or rather, nothing) have to say, it also overshadows the more consistent and meaningful proposals among the 69 participants. Among these, the reflections about the daily dimension of architecture introduced by Sergison Bates and Caruso St.John can be highly remarked. Unfortunately, they are not the only cases of presence and purposeful content that become lost in the midst of the curatorial incontinence of Chipperfield. It might seem that the cynical position displayed by Chipperfield stems from a peremptory need to please too many parties, too many interests, right in the moment where it should have been necessary to take a risk: develop a convincing proposal of rupture, a clear statement of difference which would blow up the prevailing ambiguous hollowness. Instead, he has chosen to produce an exhibition that clearly mirrors such hollowness. It would be indeed delusional to believe that such a claim could be stated from a platform like the Biennale; however, the utterly unforgivable aspect of this edition is the trespassing the ethical boundaries. Issues such as poverty, social problems derived from recession…are shamelessly used in order to perform an imposture of integrity. And although accurate, not even the angry statement of Wolf Prix against the Biennale’s banality released on Aug.28th sounds entirely credible. Probably, one of the most interesting lessons on current architecture ideology included in ‘Common Ground’ is the exhibition curated by Luís Fernández-Galiano, ‘Spain mon Amour’. Fernández-Galiano displays in it a selection of the works of Francisco Mangado, Mansilla +Tuñón, Fuensanta Nieto and Enrique Sobejano, Paredes Pedrosa Arquitectos and RCR Arquitectes by means of a demeaning presentation which, faking a serious concern about the difficulties of the young Spanish architects face at the moment to achieve a professional fulfillment, does actually make visible the despise that this generation of architects over 50 exudes towards the younger ones. Students and young architects, dressed in white and wearing a Venetian mask, act as human pedestal holding models of buildings built by that generation which recently was using them as exploitable manpower and now wants to expel them (while patronizingly swearing they feel so deeply sorry for them). Even more shameful yet expressive is the fact that these little models they are holding belong to fifteen buildings that remind of those ‘good old days’ now gone but whose privileges and alleged glory is so hard for so many to let go for good. Fifty-five national pavilions complete the Biennale, featuring disparate exhibitions whose topics range from opulence and parvenu-ism to some alleged social awareness. In most cases, and despite their attempts at being innovative and technological and regardless how many QR codes they try to use, the national pavilions have been conceived around an outdated exhibition model that leads the visitor to wonder which is the need to attend physically and event that could well be managed through the digital networks. Among the proposals featured in the national pavilions, Spain’s proposal is perhaps one of the most attuned with the chipperfieldean cabaret: a perfect synthesis of the prevailing confusion among the powers managing architecture in the country. Their curators, Antón García Abril and Débora Mesa, leave us wondering if their project (which includes the non-stop playing of the song by Spanish singer Joan Manuel Serrat, ‘Cada loco con su tema’ - ‘Each to his own theme’-, as remarking the inexistence of any coherence among the exhibited stuff) is a prank or is using an irony so subtle that minds lacking any fine sense of it cannot grasp the radical criticism the exhibition is intended to be. The title ‘SPAINLab’ misleads us to expect some kind of exploration of the relationship between architecture and technological research when, in fact, it is resembles more a kind of horror show. The concept retrieves the superficial use of the term ‘laboratory’, which in the 90’s used to be applied to the sort of pseudo-scientific research in architecture. The retrieval of this totally obsolete concept, expecting it to be bestowed with connotations of ‘advanced’ architecture, betrays itself immediately as an excuse to undercover the loss in current Spanish architecture. The exhibition’s highlight is the project for ElBulli Foundation by Cloud 9, corroborating that the tendence towards ugliness and a misused rethoric on innovation are the philosopher’s stone of this architect more obsessed with his media profile than the material consistency of his alleged advanced visions. It is not presented with sufficient clarity whether Vicente Guallart is included in this exhibition on behalf of his own architectural practice or as chief-architect of the City Council of Barcelona, it is unclear whether he is mixing or mistaking public with private. The connection with the idea of laboratory is also hard to find in the other projects that the exhibition includes. These works by Menis, selgascano, Ecosistema Urbano, RCR Arquitectes and Sancho Madridejos appear more as sterile divertissements than as serious, purposeful and much-needed analyses of the present circumstances in Spain. Under these circumstances it would have seemed mandatory to generate a self-critical, cathartic proposal instead of the vaudeville conceived by García Abril and Mesa. The Golden Lion award to Torre Horizonte (renamed Torre David by the jury formed by Wiel Arets, Kristin Feireiss, Robert A.M.Stern, Benedetta Tagliabue and Alan Yentob) as the best project included in ‘Common Ground’ has come as the ultimate proof of the ideology of opportunism and cynicism underlying in this Biennale. Awarding the obscene sacralization that this vertical favela is has verified how dangerous is the ignorant obsession that has led the ‘first world’ to sublimate other realities. If the project by Urban Think-Tank (Alfredo Brillembourg and Hubert Klumpner) and Justin McGuirk exudes hypocritical irresponsibility, its recognition does nothing but insisting in the celebration of a treacherously fake model of ethics and responsibility that is doing nothing but a narcissistic propaganda by means of an intellectual and economical exploitation of the hardest conditions of poverty, something which was already the foundation of the work of Alejandro Aravena and ELEMENTAL Chile. 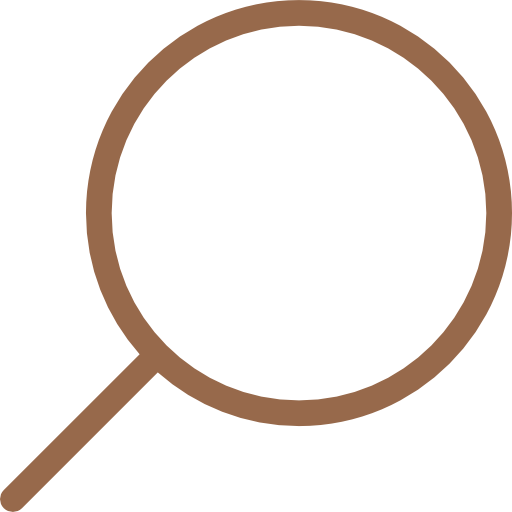 A quick google-search is enough to check the opinions on general discomfort, coming from different perspectives, about the usage and deliberately misguided interpretation that Brillembourg, Klumpner and McGuirk make of the occupation of a urban building, overlooking the hard and complex social issues involved in it. The presentation of the project of Urban Think Tank within the framework of ‘Common Ground’ appears as odious as this shallow interpretation. They have opened a sort of fashionable arepería, decorated with photographs and video footage of the Tower, where visitors (as tourists) can “have fun, eat and, in general, have a taste of South America.” An idea which confirms that Urban Think Tank are acting as a great scam devised as gloating for the stupid do-gooderism of the first-world that now drowns in the consequences of its own neoliberal rubbish. Under its masking as redemption, the Biennale has betrayed even more clearly the current condition of a system of powers, castes and cronyism that has led current architecture to a state of collapse. A state based on impostures, deceitful statements such as Chipperfield’s. Deny the void filling it up with yet even more void. Architect Fredy Massad founded ¿btbW/Architecture in 1996 together with art historian Alicia Guerrero Yeste devoting their joint work to the analysis of contemporary architecture. He combine their regular contributions to the culture supplement of Spanish newspapers ABC and La Vanguardia with articles featured in international magazines, particularly in Europe and South America (Conditions, ORIS, summa+, AU, Vitruvius, arqa, Clarín, Bsau). Between 2009 and 2012 they coordinated the architecture section for the Spanish contemporary art magazine EXIT-Express. 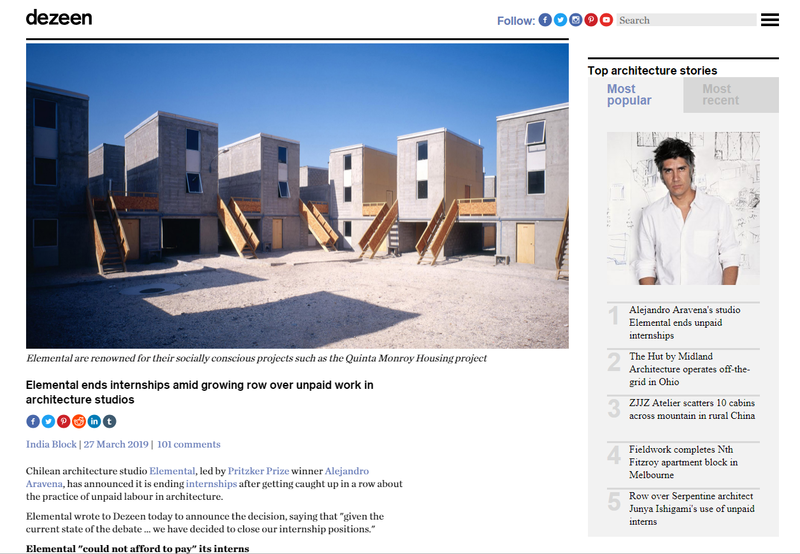 From October 2012 Fredy Massad will be editing the architecture blog within the culture section of Spanish newspaper ABC. He has authored and edited different books and actively lecture in seminars and universities, developing an approach that aims at emphasizing the political and ideological dimension of architecture to actively intervene in the revision and transformation of the paradigms of present society.